An orientation training of students of Govt. Women’s Polytechnic, Phulwarisharif, Patna was organized on 8th, May, 2017. Dr. Kumari Anima, Principal, GWP, inaugurated the session. Prof. Abhisek Kumar and Prof. Usha Kumari was also present on this occasion. Students were made aware about the harmful effect of electronic waste and its proper managements. We became able to communicate the participants about the current situation of e waste disposal, prevalent recycling practices as well as the legal provisions and the responsibility of the stakeholders.200 students participated in the orientation. After orientation College Eco Club was formed. An orientation training of students of New Govt. 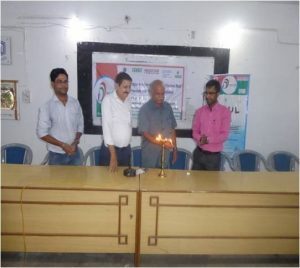 Polytechnic Patliputra, Patna was organized on 9th May, 2017. Dr. Anil Kumar Singh, Principal, New Govt. Polytechnic Patliputra. Prof. Sunish Chandra, New Govt. Polytechnic Patliputra was also present on this occasion. 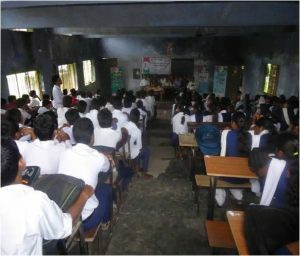 Students were made aware about the harmful effect of electronic waste and its proper managements. We became able to communicate the participants about the current situation of e waste disposal, prevalent recycling practices as well as the legal provisions and the responsibility of the stakeholders.50 students participated in the orientation while 250 students visited the poster exhibition. After orientation College Eco Club was formed. An orientation training of students of ITI, Digha, Patna, Patna was organized by IEED on 13th, May, 2017. Er. 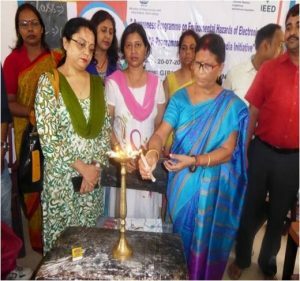 Nageswar yadav, Principal ITI, Digha inaugurated the session. Prof. Er. Rahul, Vice Principal, ITI, Digha was also present on this occasion. 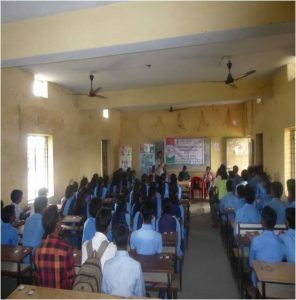 Students were made aware about the harmful effect of electronic waste and its proper managements. We became able to communicate the participants about the current situation of e waste disposal, prevalent recycling practices as well as the legal provisions and the responsibility of the stakeholders. 50 students participated in the orientation while around 500 students visited the poster exhibition. After orientation College Eco Club was formed. 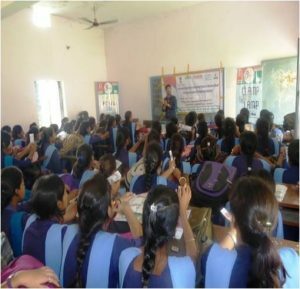 An orientation training of students of Girls High School, Bankipur, Patna was organized on 20th,May, 2017 The session was inaugurated by Mrs. Vijya Kumari, Principal, Girls high School, Patna Students were made aware about the harmful effect of electronic waste and its proper managements. 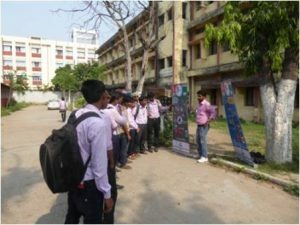 We became able to communicate the participants about the current situation of e waste disposal, prevalent recycling practices as well as the legal provisions and the responsibility of the stakeholders.100 students participated in the orientation while 200 students visited the poster exhibition. After orientation School Eco Club was formed. An orientation training of students of Govt. Kamla Nehru girls School, yarpur Patna was organized on 20th, May, 2017. The session was inaugurated by Mrs. Mani Arti, Principal, Govt. Kamla Nehru Girls School, Yarpur Patna. Students were made aware about the harmful effect of electronic waste and its proper managements. We became able to communicate the participants about the current situation of e waste disposal, prevalent recycling practices as well as the legal provisions and the responsibility of the stakeholders.153 students participated in the orientation. Students also visited the poster exhibition. An orientation training of students of Govt. Baldeva Inter School,Danapur , Patna was organized by Institute of Environment & Eco development on 25th, July, 2017. Dr. Kumari Usha Singh Govt. Baldeva Inter School,Danapur , Patna inaugurated the session. Nodal teacher Mr. Jitendra Narayan Mishra was also present on this occasion. Students were made aware about the harmful effect of electronic waste and its proper managements. We became able to communicate the participants about the current situation of e waste disposal, prevalent recycling practices as well as the legal provisions and the responsibility of the stakeholders. 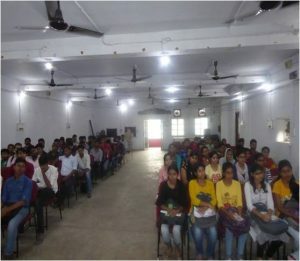 200 students participated in the orientation. Students also visited the poster exhibition. After orientation College Eco Club was formed. Institute of Environment & Eco Development organized an orientation training of students of BMP-5 Senior secondary School, Camp Jail, Patna upon environmental hazards of electronic waste on 26th,July,2017. Mrs. Mira Kumari,Principal,inaugurated the session. Prof. Mr. Vikas Ojha was also present on this occasion. 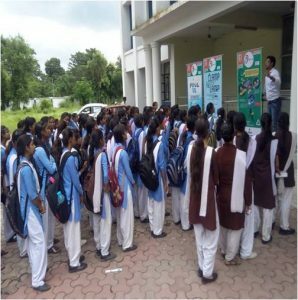 Students were made aware about the harmful effect of electronic waste upon environment and human health and its proper disposal. We became able to communicate the participants about the current situation of e waste disposal, prevalent recycling practices as well as the legal provisions and the responsibility of the stakeholders. Only 60 students participated in the orientation. After orientation College Eco Club was formed. 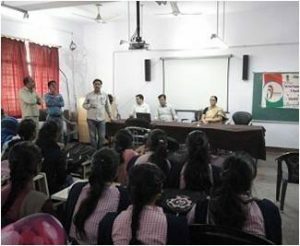 Institute of Environment & Eco Development organized an orientation training of students of Govt. Boys Secondary School,Shastrinagar Patna upon environmental hazards of electronic waste was on 28th,July, 2017. Mr. Abhaya Nath Jha, principal Govt. Boys Secondary School, Shastrinagar, Patna inaugurated the session. 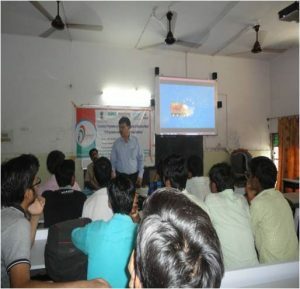 Students were made aware about the harmful effect of electronic waste and its proper managements. We became able to communicate the participants about the current situation of e waste disposal, prevalent recycling practices as well as the legal provisions and the responsibility of the stakeholders.120 students participated in the orientation. After orientation, College Eco Club was formed. An orientation training of students of Indian Institute of Business management, Patna was organized on 27th July, 2017. Dr. U.G. Singh director, IIBM, inaugurated the session. Prof. A.K. Nayak was also present at the occasion. Students were made aware about the harmful effect of electronic waste and its proper managements. We became able to communicate the participants about the current situation of e waste disposal, prevalent recycling practices as well as the legal provisions and the responsibility of the stakeholders.70 students participated in the orientation. Students visited the poster exhibition also. After orientation College Eco Club was formed.